MANILA, Philippines - Days following the Permanent Court of Arbitration’s landmark ruling on the West Philippine Sea (South China Sea) dispute, Filipino fishermen were blocked by a Chinese Coast Guard vessel from entering the Scarborough Shoal. In a report by the ABS-CBN News team who joined Pinoy fishermen in an attempt to enter the area, it was revealed that the Chinese fishing vessel followed the group to block them from entering Scarborough Shoal. They also noted that another Chinese fishing vessel was blocking the entrance of a traditional fishing grounds for Pinoys residing in the area, the Bajo de Masinloc. Four other vessels were sighted by the group in the area. Since the fishermen were prevented from entering Scarborough Shoal, they opted to fish outside the area, but two speed boats circled them as they were fishing. 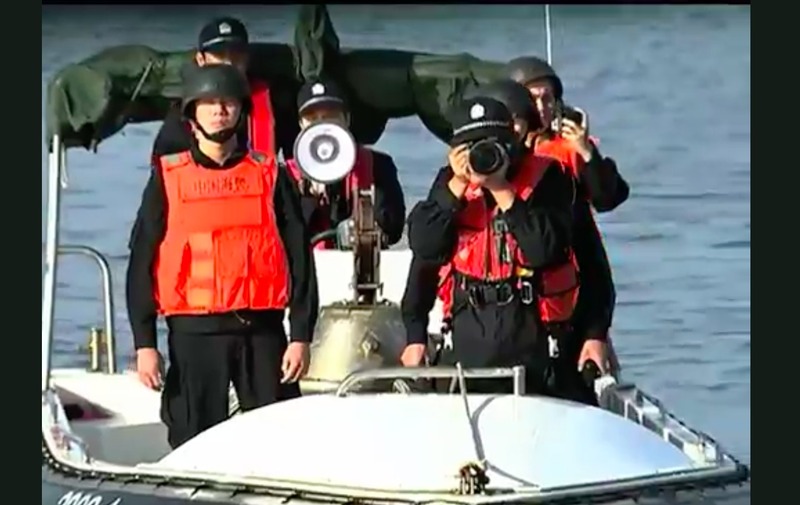 Using megaphones, the Chinese Coast Guard asked the group to leave the area. "Minemegaphone kami, kinukunan kami ng litrato at video at sinasabi nila, 'This is China Coast Guard. This is a law-enforcement operation. We order you to leave the area immediately’," reporter Chiara Zambrano said. Since 2012, the superpower country has held Scarborough Shoal, a rich fishing ground 16 hours from Masinloc town in Zambales, after a tense naval standoff. Pinoy fishermen claim that they had been left jobless as a result of the Chinese people’s routine harassment. Philippine Foreign Affairs Chief Perfecto Yasay Jr has raised the West Philippine Sea dispute during the Asia-Europe Meeting (ASEM) in Mongolia on Friday, July 15. Yasay, in his speech, said the Philippines strongly affirms its repeat for arbitral tribunal’s historic ruling on the West Philippine Sea. "The Philippines shall continue to engage concerned parties to finding ways to reduce regional tensions and to build greater trust and confidence. In this regard, the Philippines will continue fostering mutually beneficial relations with all nations," Yasay said. Earlier, Chinese Assistant Foreign Minister Kong Xuanyou said that the ASEM meeting is an inappropriate venue to discuss the dispute and stressed the need to settle it through bilateral talks.